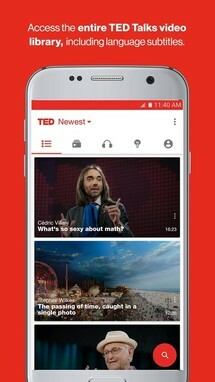 The TED app on Android has looked roughly the same on Android since the day it was released in March of 2012. As a matter of fact, up until yesterday, it had barely received any major interface changes and, although it did its job well with offline support, subtitles, bookmarks, Cast support, and more, it still felt like an antiquated piece of software compared to all the modern apps gracing our phones nowadays. 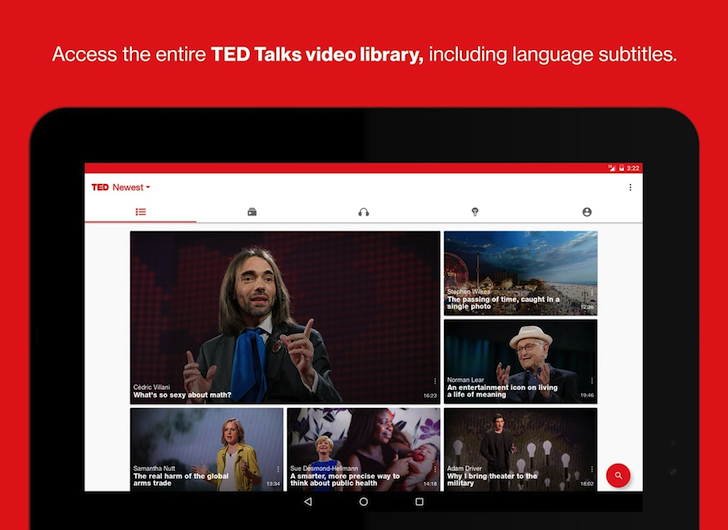 But that changes today with the release of TED 3.0. 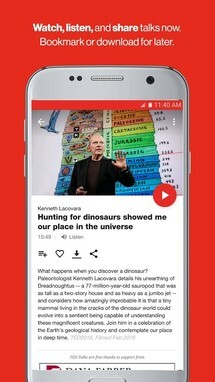 The predominantly white and red colors are still there, but the red is now bolder and more prominent, the design has been refined for better use of space, modern iconography is used for every action, and there are floating Play buttons, separate cards for each video, a newer icon, and more. It looks superb compared to the old app. 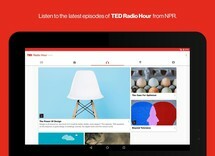 The new interface is also better suited for tablets and adds two new features: per topic browsing for curated playlists and TED Radio Hour podcast episodes. The latter is actually one of my favorite podcasts to listen to, because it weaves together several TED talks in a smart and narrative way, creating a more logical transition between the different ideas shared on the TED and TEDx stages. 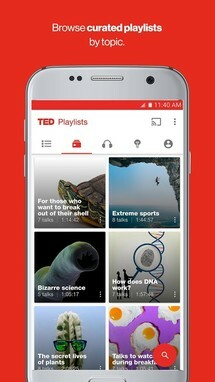 So it's nice to see it now part of the official TED app. Here's the full changelog of TED 3.0 and a link to grab the app if you haven't already. 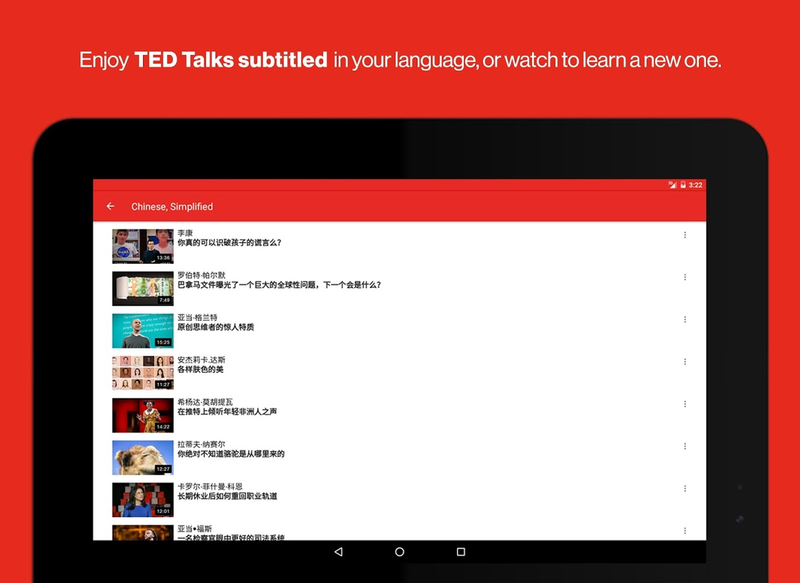 And while you're at it, why don't you check my list of 8 educational video apps on Android? It's a bit old, but it has some nice suggestions that are still valid today. We've redesigned and rebuilt the TED app from the ground up, and we hope you love it! 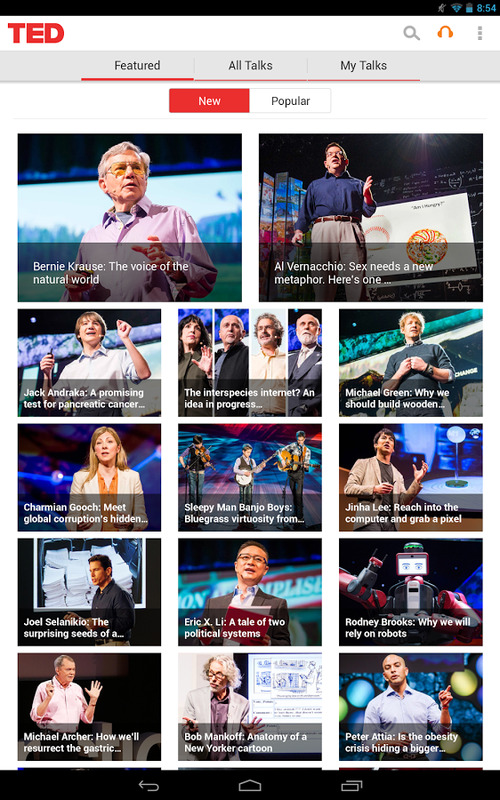 You can still stream and download the full library of TED Talks, with a brand new design and easier navigation. 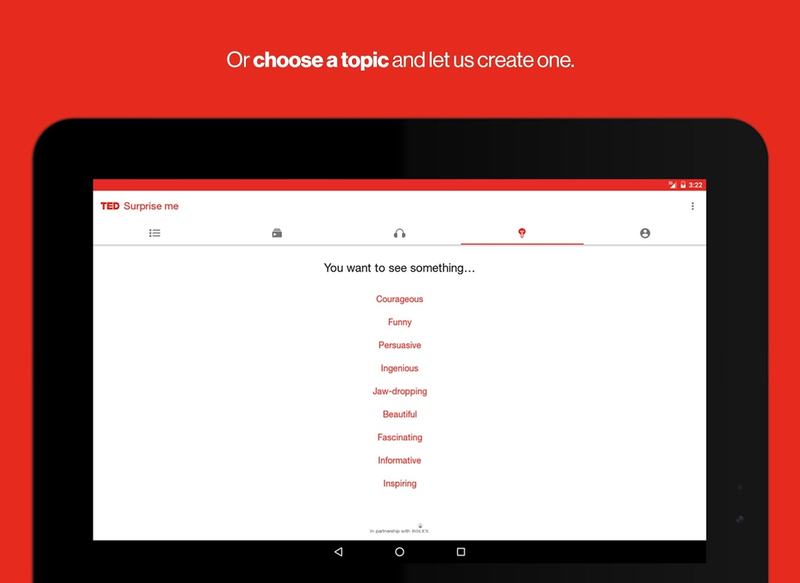 We've added a new option to browse curated playlists by topic. 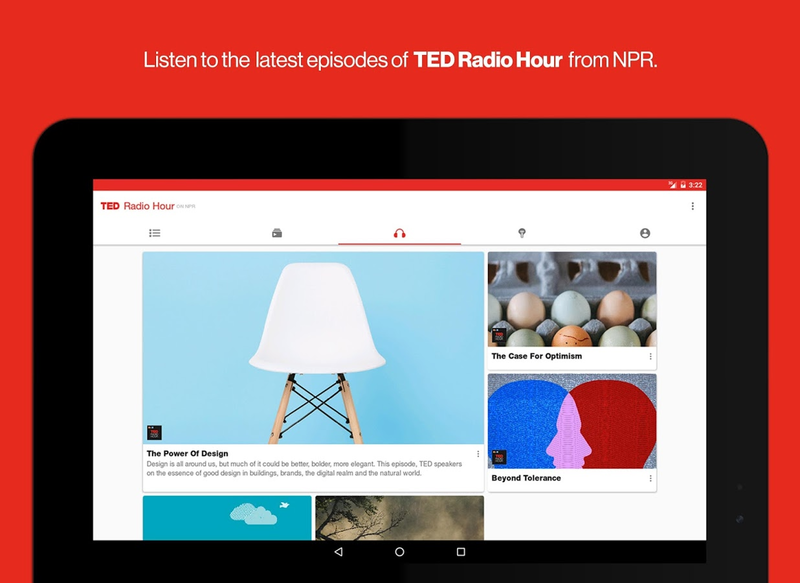 And we're excited to include episodes of TED Radio Hour, a podcast co-produced with NPR. The app now includes a Feedback option, located in the settings menu -- please let us know what you think!